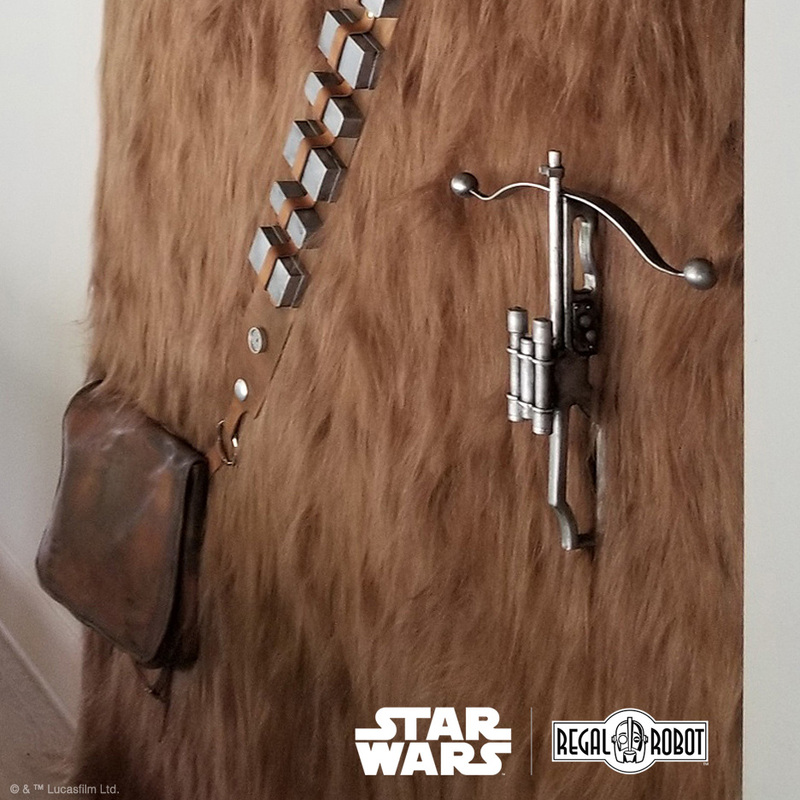 Fabricated in aluminum, this one of a kind Chewbacca™ Bowcaster Door Handle is a decorative hardware piece from a galaxy far, far away. It was created as a Star Wars™ themed handle to a very large sliding door. 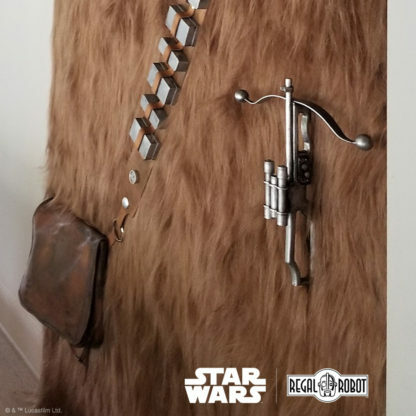 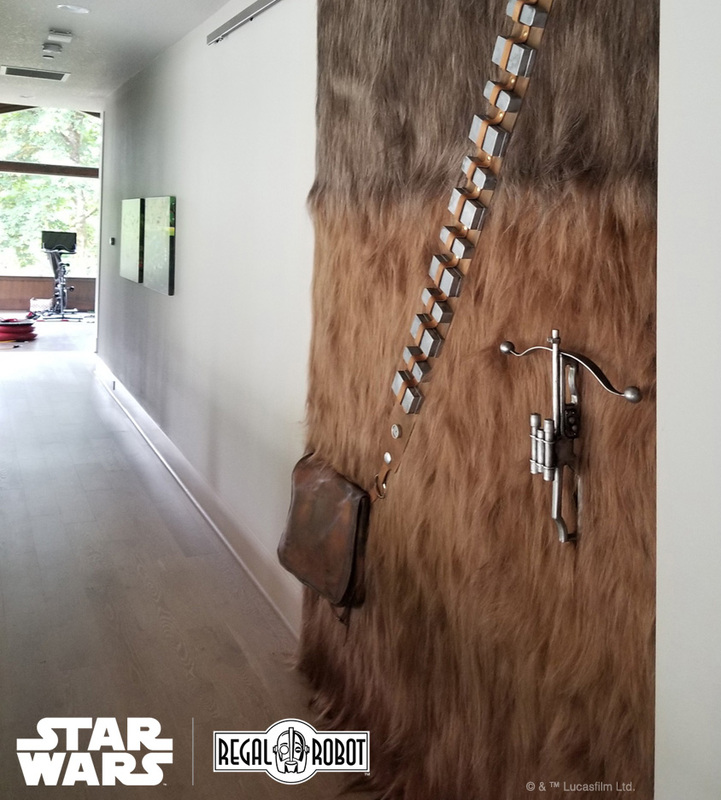 Paired with our custom Chewbacca™ Wookiee Bandolier Wall Art they’ve now added theming to their room AND the entryway to their incredible home theater. 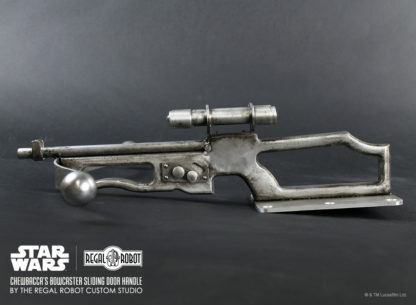 Designed by Tom Spina, prototyped by Steven Richter and fabricated in metal by Mike Zeak, this aluminum sculpture is an artistic interpretation rather than a prop recreation. 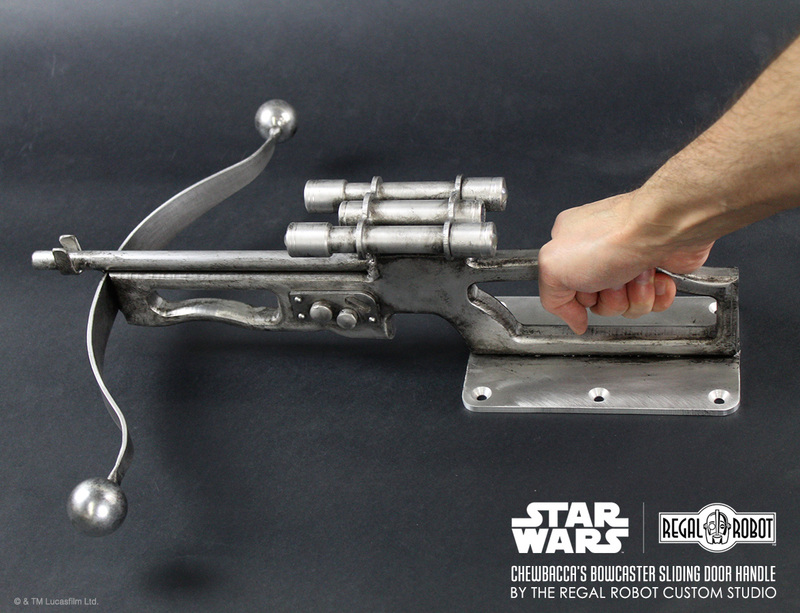 It’s created at a slightly smaller scale than a Chewbacca™ costume style Wookiee bowcaster would be. 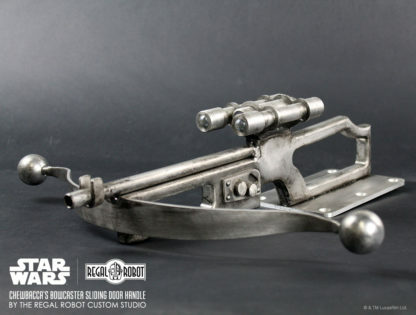 The rear stock now serves as the handle to open and close their door. 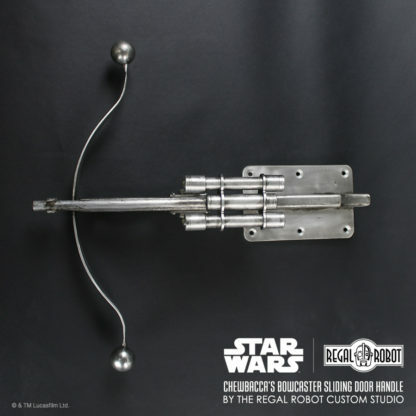 Machined metal spheres adorn the ends of the bow, and the body of the Wookiee weapon was milled from a single thick piece of aluminum. The streamlined scopes that sit atop the blaster feature clear glass spheres inside their ends to simulate lenses. 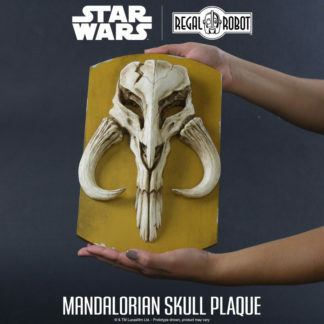 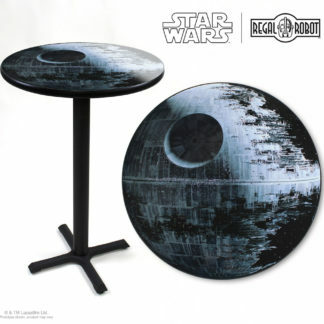 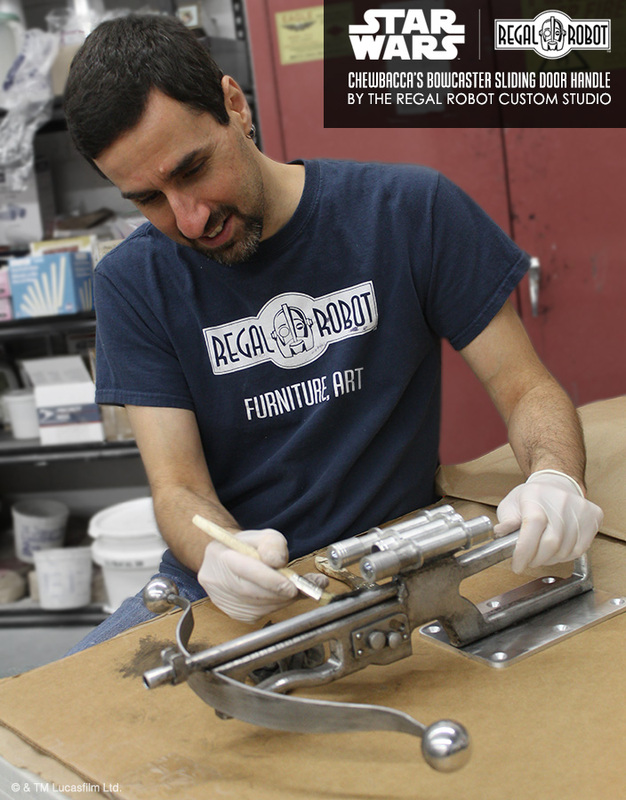 With all the metal pieces completed, the item was hand stained by Tom in our NY studio, to capture the classic Star Wars look!